Home » climate and security » Study: Very hot temperatures correlated with greater risk of violence in East Africa? 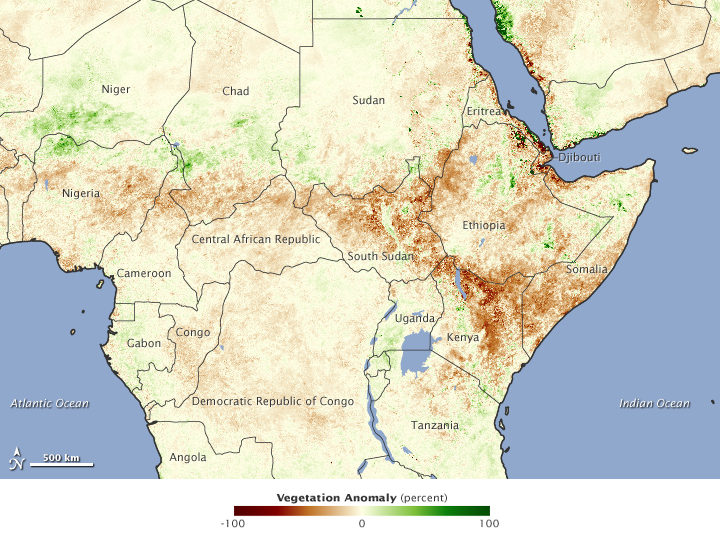 Study: Very hot temperatures correlated with greater risk of violence in East Africa? A new study published in Proceedings of the National Academy of Sciences, and led by John O’Loughlin of the University of Colorado, Boulder, looks at correlations between temperature and conflict in nine countries in East Africa (Burundi, Djibouti, Eritrea, Ethiopia, Kenya, Rwanda, Somalia, Tanzania and Uganda). The authors utilized data from over 16,000 conflicts that occurred between 1999-2009, and determined that “very hot” temperatures do indeed increase the risk of conflict, though “socioeconomic, political and geographic factors” are still the key main drivers. The authors also stress variations in potential impact from country to country, even within East Africa. In short, climatic changes that lead to more “very hot” days in the region could exacerbate conflict, though impacts will differ based on unique country circumstances and vulnerabilities. By Francesco Femia & Caitlin Werrell in climate and security on October 24, 2012 . Interesting, I would like to know if the converse applies. Do wet years decrease conflict? Good question. However, note that this particular study concludes that “very hot temperatures” seem to increase the risk of conflict, not necessarily “dryness.” So, “wet years” would not necessarily be the inverse of “years with high temperatures.” In short, your question does not seem to be answered by this particular study. However, you may be interested in Solomon Hsiang’s research on El Nino/Southern Oscillation and conflict, which was published in Nature. As reported by Nature, Hsiang concludes that “Tropical countries face double the risk of armed conflict and civil war breaking out during warm, dry El Niño years than during the cooler La Niña phase of the El Niño/Southern Oscillation (ENSO).” That does not mean that wet years necessarily “decrease conflict” in tropical countries, but it suggests that conflict in tropical countries may be less likely in wet years.